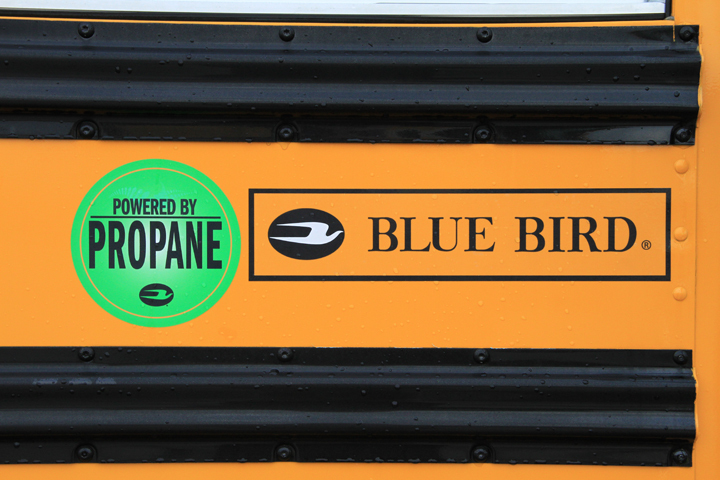 The Wayne Township School District in Indianapolis, IN has added 20 new propane-powered Blue Bird school buses to its fleet to replace older diesel-powered models. 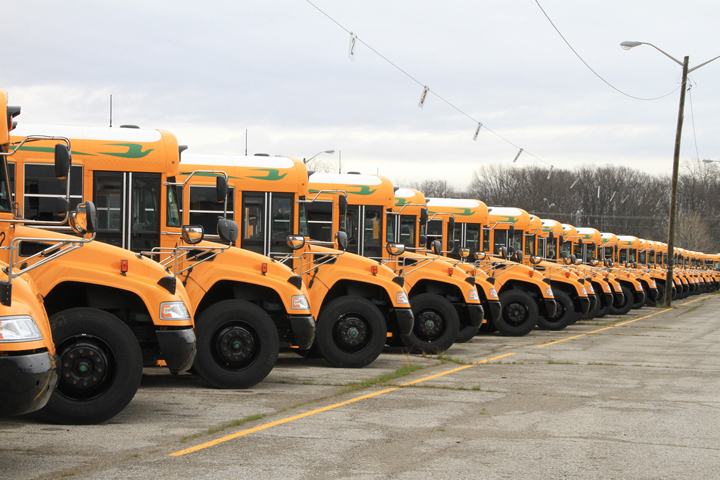 The new propane buses, supplied by the Transportation Division of MacAllister Machinery, make up the largest fleet of propane school buses in the state of Indiana. 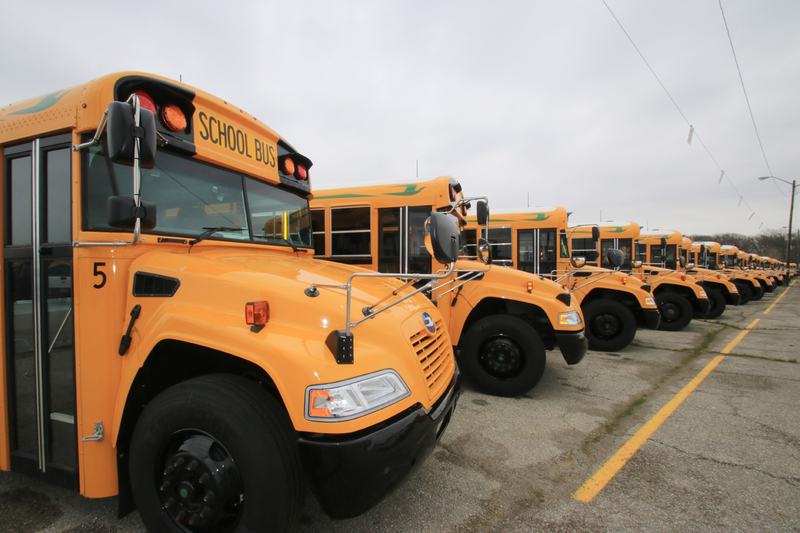 The district expects to save about $700,000 in transportation costs over the life of the buses, due to lower operating and maintenance costs. 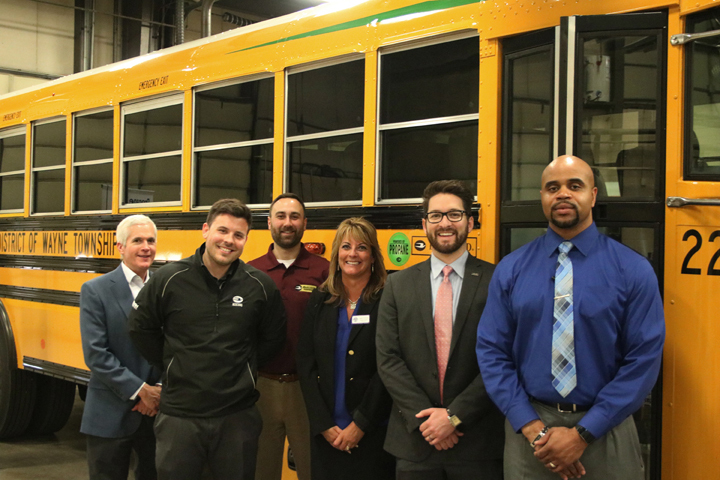 The environmentally-friendly buses are also safer and more comfortable for students. 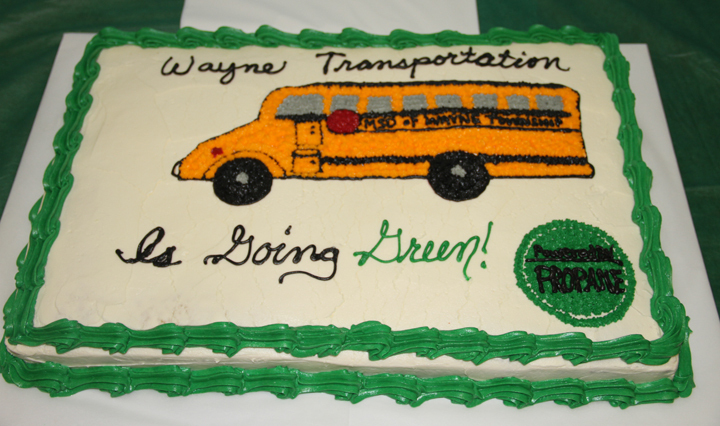 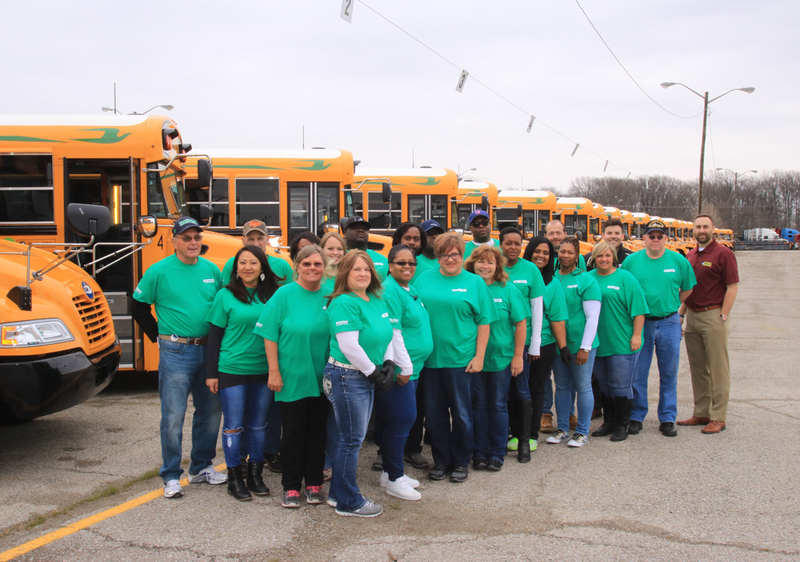 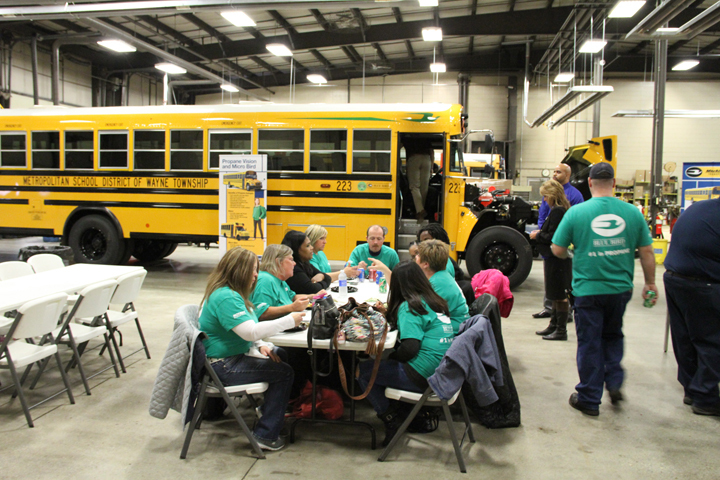 On April 8th, twenty MSD Wayne bus drivers brought their old buses to MacAllister Machinery’s Transportation facility on Brookville Rd to be traded-in, enjoyed lunch and a short celebration, then delivered their new propane buses to the MSD Wayne Transportation Center. 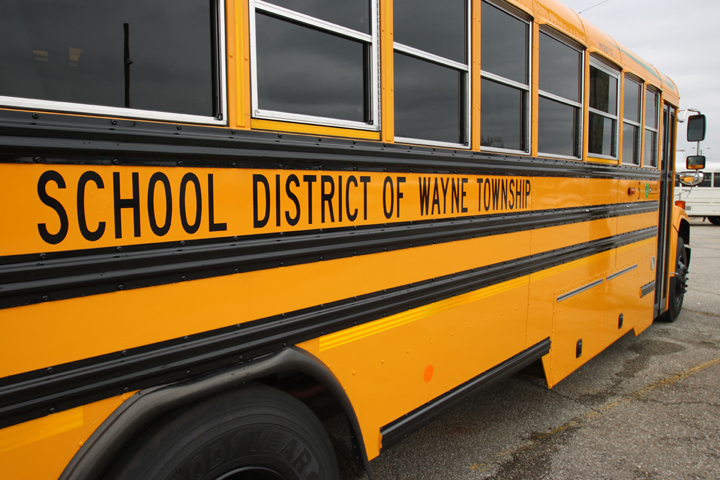 Local media coverage was provided by Fox59-TV, WISH-TV, and The Flyer Group.